Glad to see that Stagecall is back up and running. It is an important way for our members to stay connected with each other, as well as disseminate information and ideals to the workers in our trade. A big “thank you” to the newly organized Newsletter Committee and it’s editor for jump-starting this periodical. 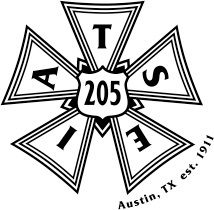 As the Stewards Committee has been actively involved in educating and bringing along a new crop of qualified job site stewards, I have received some interest from members about stepping up to represent their brother and sisters as an advocate in the workplace and becoming an IA Steward. Perhaps at this point it would be best to outline some of the basic requirements, qualities, and responibilitites of becoming an effective job site union steward. Laying these out in one issue here would be next to impossible. So, toward that end, I will elaborate on these topics through subsequent issues of Stagecall. One of the problems you’ll encounter is negative attitudes from some co-workers. This could be from former officers, members with more seniority, or just plain anti-union folks. They’ll tell you that your efforts are fruitless, things never change, you’re wasting your time. All organizations need new caring people to keep them strong and growing. You have every right to be enthusiastic about your local. Don’t let naysayers discourage you from your duties. A good Steward does not develop overnight. It’s a process that takes time. You’ll have to learn to be patient. Remember that your goal is to develop your skills over time, and in the process you’ll build respect from your fellow members and management. Like the old sage, take the Long View. You’ll have a lot to learn: the contract, past practices, and the way your union and management operate. You aren’t expected to know all the answers, but you must be the kind of person that enjoys finding them. Ask questions, and then keep asking them. You’ll learn a lot about people, the nature of working attitudes, unions and labor relations. So these things should appeal to you. Management will often test stewards to see how well you represent your co-workers. This comes in many forms: denying you reasonable time to carry out your duties, refusing to give you extension of time to research a first step towards a grievance. They may deny you access to records in a clear-cut case of injustices in a disciplinary complaint. All this is clearly a breach of the contractual agreement, as well as Federal Law. Learning to work with the particulars of each management situation, while enforcing the contract can be tricky. Your skill at this, with time, will improve. As stated, you don’t need to know answers to all questions posed to you. Learn to organize your co-workers varied skills and then access them with your problems. The whole point of the trade union movement is power in numbers, working with others to achieve common goals. I hope this article helps anyone contemplating becoming an advocate and steward for your fellow co-workers. As mentioned, I will be laying out more on this topic in future articles in an attempt to answer some of the questions about this union function. With hard work, a determined and positive pro-labor attitude, and a willingness to teach and mobilize your brothers and sisters, you will become a vital part of a prosperous and vibrant union. Not a small task, but certainly worthy of great respect for stepping up.